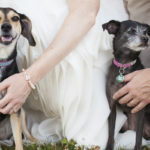 Not every dog should attend a wedding, but Delilah was the perfect “best dog.” If spring hasn’t sprung where you are, these images from Photography by Tracie will warm you up! 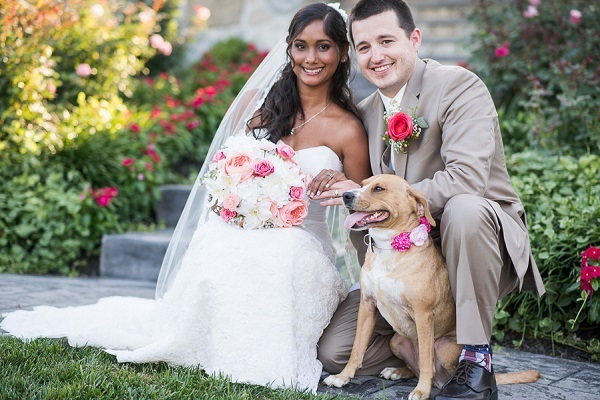 Deliah’s floral collar matched the bouquet, and her smile is as big as the happy couple’s! 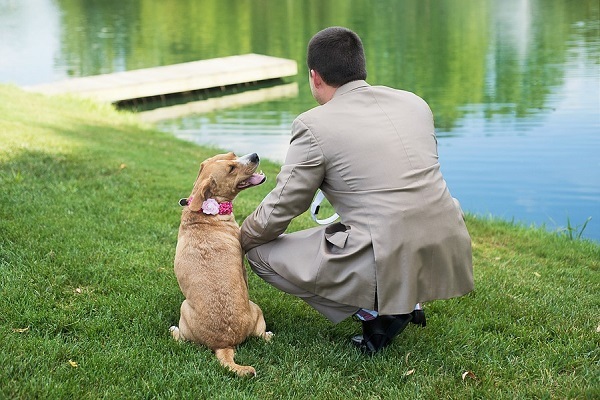 I love this shot of Dave and Delilah waiting for their first look at the lovely bride. It cracks me up that Delilah cheated, and I love her reaction. Delilah was thrilled to see Miha. You can see more of Tracie’s photography by following her on Instagram. 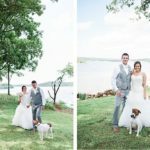 About Photography By Tracie: Based in Baltimore, Maryland and New Orleans, Louisianna, Tracie Smith specializes in wedding photography as well as portrait photography. What a happy, sweet dog, Delilah is! 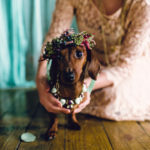 I love her flower collar! AAAAWWWW. 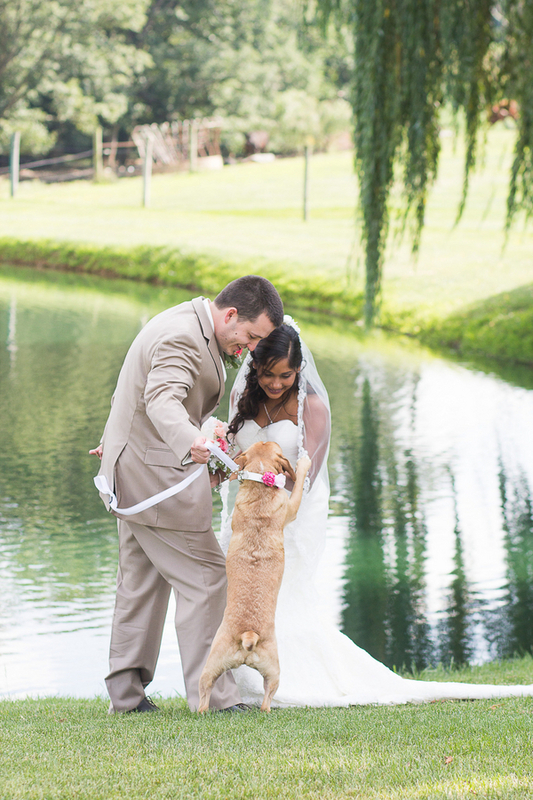 This makes me wish that I had known my rescue pup when I got married–but he wasn’t born for a few more months… and probably would have stolen the show! We attended a wedding in Prague …and our boy was in the wedding party. That was a first. 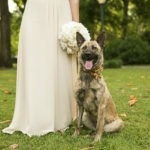 A dog that is not the dog of the bride and groom IN the wedding party. Was epic. I love this. I remember your post about that wedding! It truly was epic! I’m looking forward to seeing photos from your upcoming wedding. I know all of you will look fabulous! 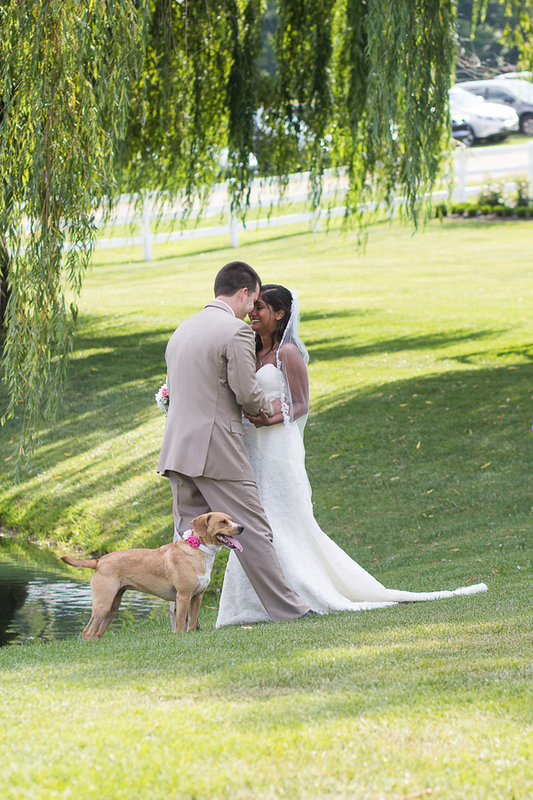 awww I had never heard of a best dog at a wedding. Looks so adorable.